Transform your beliefs about food and body. Unlearn & Reject Diet Culture. Are you trying to improve your relationship with food and feel frustrated with everyone around you reinforcing diets, restrictive eating, and weight loss at all cost? Do you feel overwhelmed by the constant stream of conflicting nutrition information? Are you tired of feeling worried about making the wrong decisions with eating and just want to be able to enjoy food again? Diet culture is the. worst. and has made healing your relationship with food so much harder. There is a life free from diet culture where food provides nourishment and pleasure, where you can focus your energy on fully living life instead of battling all the food and body thoughts. You can be free from diet culture! Are Tired of diet culture and want freedom! Are frustrated with everyone around you reinforcing disordered thoughts and behaviors while you’re trying to improve your relationship with food. Are tired of all the conflicting nutrition messages you hear on a daily basis and just want the truth. Want to spend less time focusing on food and more time living life. Want freedom from anxiety, guilt, and shame around food. Want to discover joy with eating again. 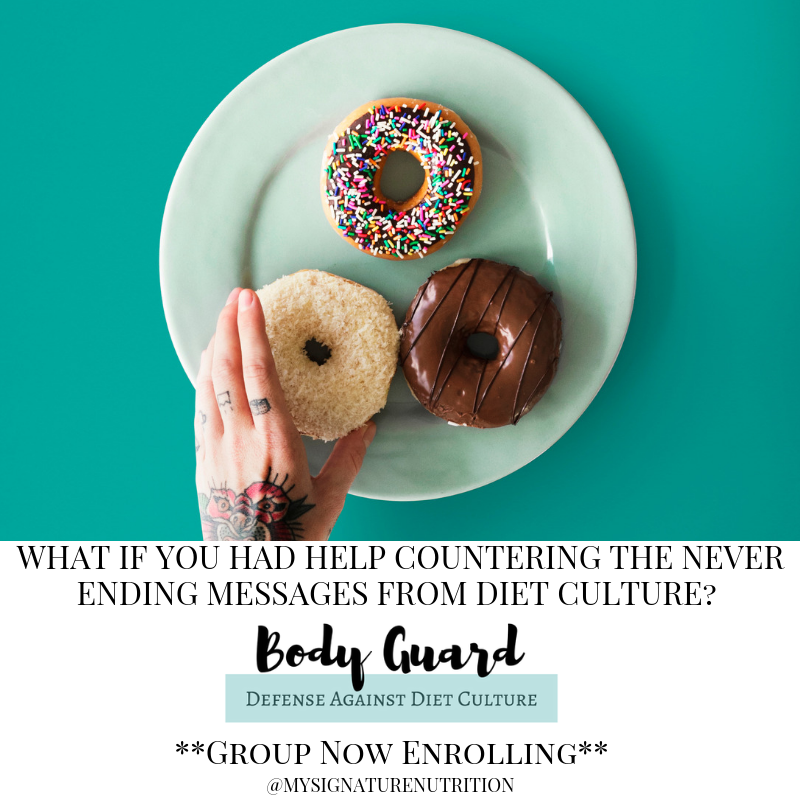 If you answered YES to any of the above then I would love for you to join us in the BodyGuard: Defense Against Diet Culture Group to help you unlearn diet culture and defend yourself from diet culture’s harmful and toxic messages. What diet culture is, the negative impact it’s having on your life, and how to get rid of it (as much as you can) and defend yourself against the toxic messages that just won’t go away. Truth about carbohydrates, proteins, and fats: what they are and what they can and cannot do. Clarity about how your body uses energy and how all foods provide nourishment. How to decode negative body thoughts. Check out the complete course syllabus here. 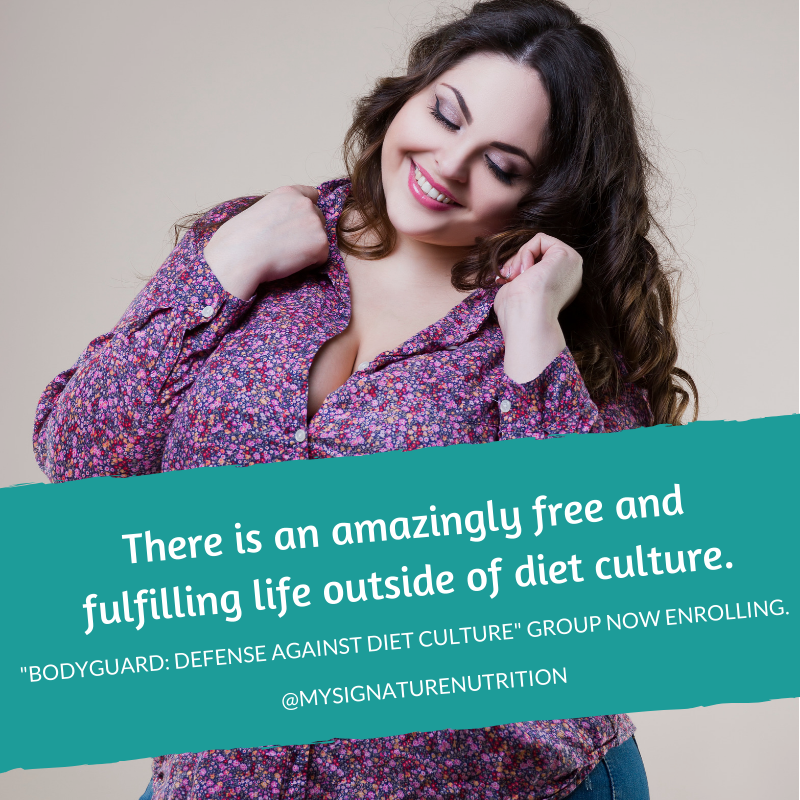 The BodyGuard Group is strategically designed to walk you through all of the confusing messages from diet culture to provide clarity, to calm your anxiety, and to separate who you are and your self worth from your eating and your body. The BodyGuard Group meets virtually over zoom so you can log in anywhere with internet connection or watch the recording later on if you can’t join live. The group will meet on Fridays from 3:00-4:00pm central time for 10 weeks from October 11ththrough December 21st. If you’re tired of diet culture and want freedom, reserve your spot now! The cost of the group is $35 per group or $350 paid in full. If you’d prefer, you can also pay monthly at $125 per month (October, November, and December). 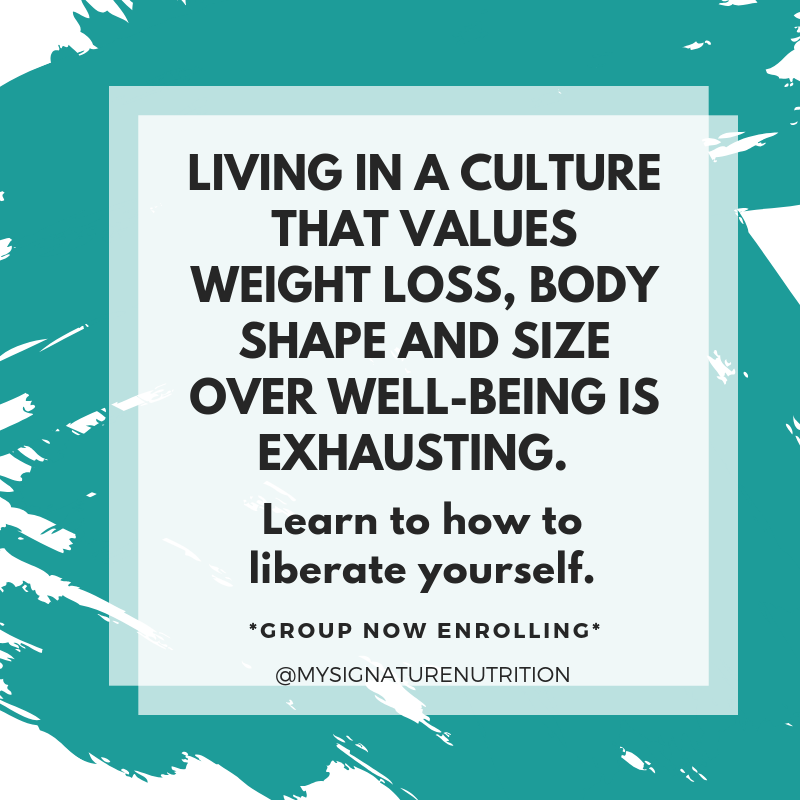 I’m offering this group because I’m passionate about helping people liberate from diet culture so that they can improve their relationship with food and their quality life. Living in the confines of diet culture is exhausting, draining, and miserable. As you work to reject diet culture and improve your relationship with food sometimes (especially in the beginning) you find yourself feeling worse not better. You feel more confused than ever and feel like you have this constant battle going on in your head. On top of that, while you’re trying to change, people around you continue to focus on weight, food rules, fad diets, restrictive eating patterns- you name it they say it and make you feel worse! Diet culture is draining and takes the joy out of life. I see the impact of diet culture on a daily basis in my sessions with clients. There seems to be a similar pattern- you begin to have hope in the process of recovery, but then something happens…you go to dinner with friends and the entire conversation is about the keto diet, how “bad” carbs are, and weight loss. Or, you go to get ice cream with your family and your Mom says that she’s being “bad” and shouldn’t have ice cream. You feel awful and begin to question everything you have done to change your eating. Fear, anxiety, guilt, and shame around food and body take over. You go right back to doubting what you’ve learned and all the work you’ve done. Your mind returns to thoughts of- are carbs bad? Do you really need that fat? Should you really have that dessert? Aah! It’s overwhelming and feels never ending! If you’re feeling that way now and want to learn how to reject diet culture and give yourself permission to eat with joy and satisfaction (or at least neutrally) then I have a special invitation for you! The Body Guard Program is enrolling right now. Reserve your spot today! This virtual group is designed to help push back against diet culture so that you can focus on living your life and improving your relationship with food. It’s hard enough to do that. Diet culture just makes it harder and you don’t need that! 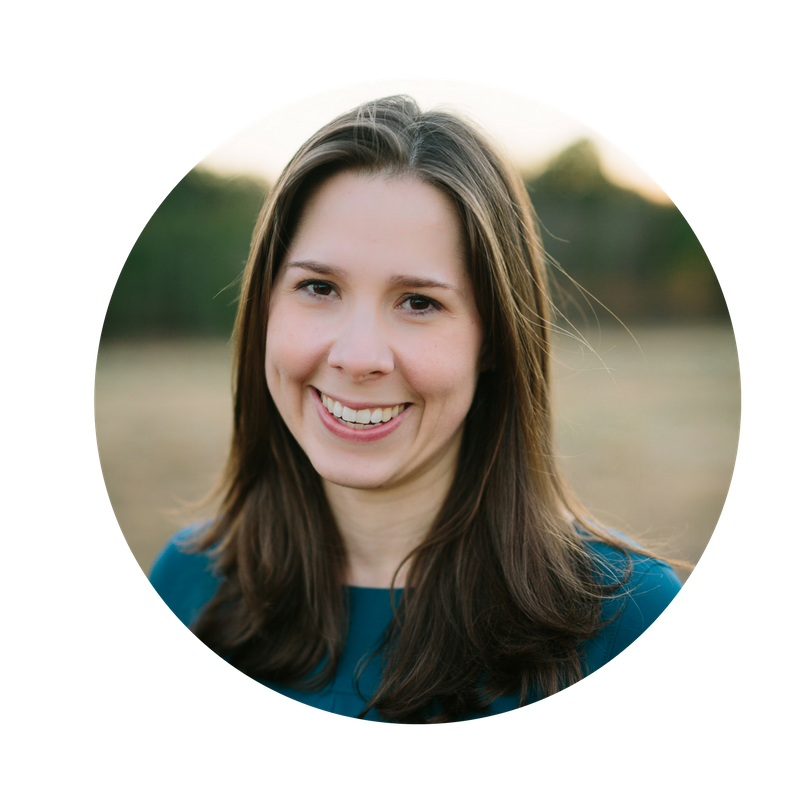 This group is lead by Sara Upson, Registered and Licensed Dietitian, certified eating disorder specialist, certified intuitive eating counselor, and certified black belt in rejecting diet culture. (Okay not really, but I do actually have a black belt in karate!) I want to help you live a life where you have freedom from diet culture. Diet culture isn’t going to end anytime soon, but you can learn how to defend yourself against diet culture. Diet culture will still exist, but with your new skills it’s just annoying, no longer catastrophic. Ability to recognize diet culture and not buy into it. Clarity about the unique benefits that carbs, proteins, and fats provide. Truth about vitamins, minerals, and supplements. How they work in your body and what they do. Clarity about how your body works to use energy and how all foods provide nourishment. Clarity about digestion and metabolism: what it is, what it isn’t, and what you don’t need to do. Tools to keep your peace when others comment on your food or eating. Tips and tricks to decrease panic when you feel like you have eaten the wrong food. Courage to push back against diet culture and know you are enough as you are. This group is in Beta Testing and limited to 12 people, there are 9 spots remaining so be sure to reserve your spot today!